Make sure the clarified butter comes straight from the fridge, it has to be quite cold. COMBINE spelt flour, clarified butter, pinch of salt and 1 egg until you’ve reached a dough ball. You can knead it by hand, or use a standmixer. WRAP the dough ball with cling film and refrigerate half an hour. 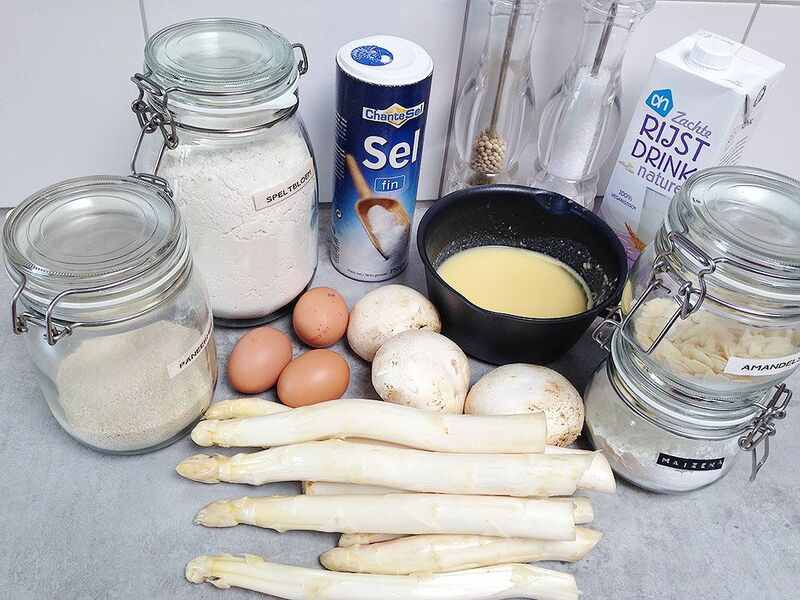 Meanwhile PEEL the white asparagus. Use your finger to feel if you didn’t miss any little piece, cause the peel will be very stringy. Chop of about 2 cm of the bottom and place the asparagus in the asparagus pan and cover with cold water. Don’t let it come to a boil, they are done when you can slightly bend them. Remove them from the water and slice into pieces so they will fit the bottom the spring form. 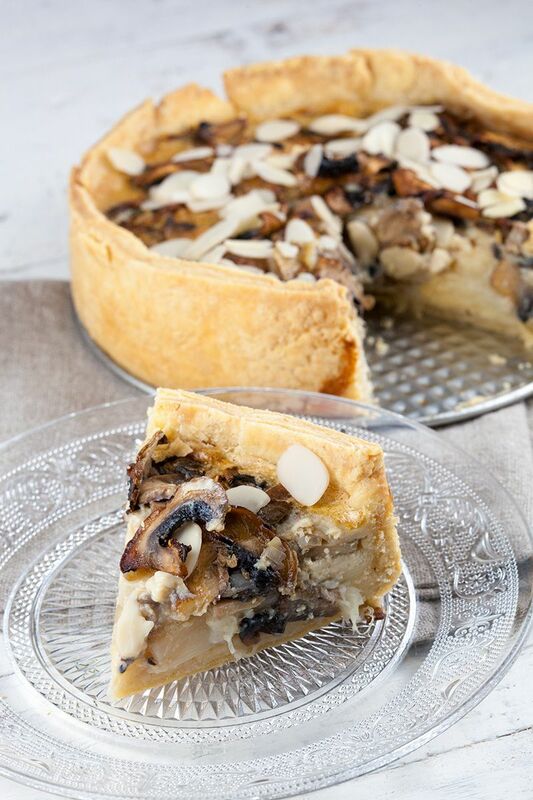 CUT the mushrooms into slices and cook them in a medium-sized skillet with a little bit of olive oil until they become nicely colored. Season the mushrooms with pepper and salt. COAT the spring form with clarified butter and ROLL out the dough using a rolling-pin. PLACE the dough into the spring form and place a small layer of breadcrumbs on the bottom to prevent the crust of becoming mushy. DIVIDE the white asparagus pieces over the bottom. Then divide the cooked mushrooms. MIX 2 eggs, rice milk and cornstarch. Season the egg mixture with pepper and salt and pour over the asparagus and mushrooms. 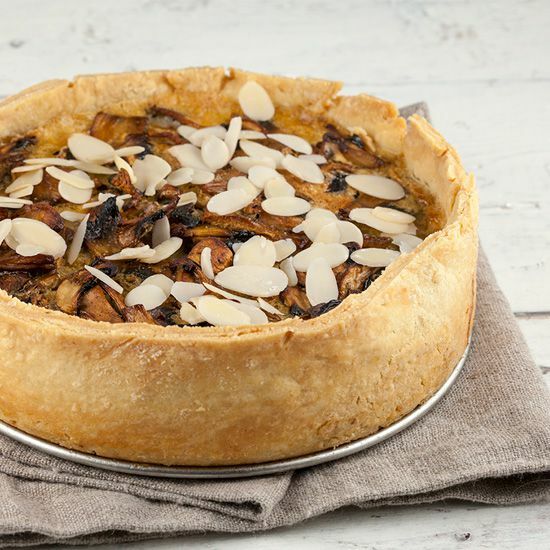 BAKE the quiche in the oven for about 30 – 35 minutes, or until beautifully golden brown. 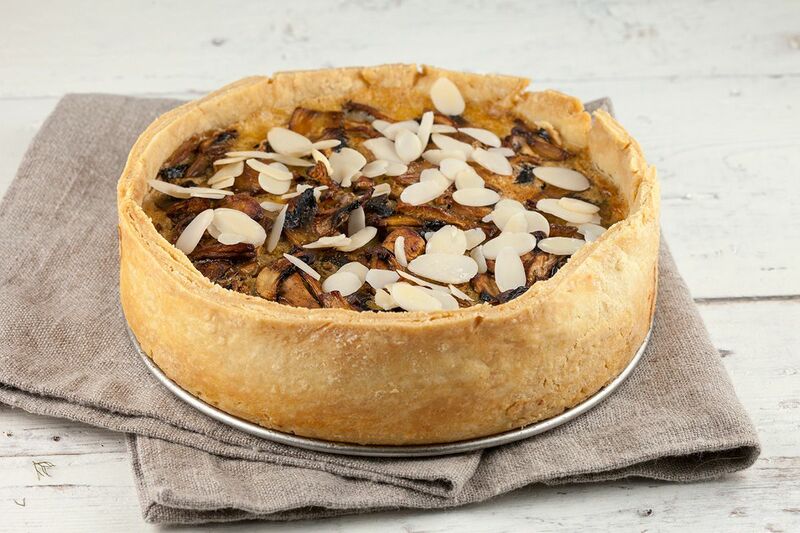 DIVIDE the almond shavings over the quiche and enjoy!